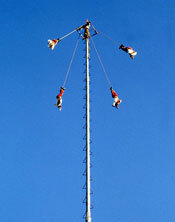 Also involving a tall pole was the ‘Flyers’ ceremony (Voladores in Spanish): but this was no competition. 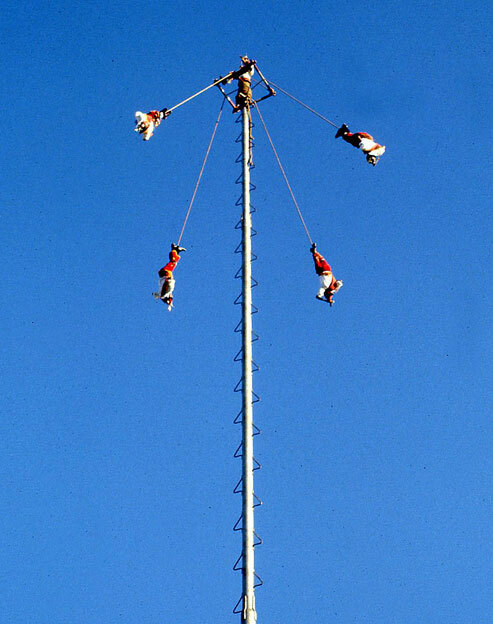 Accompanied by a musician who somehow played a flute and drum while dancing on the tiny platform at the very top, greeting in turn the four cardinal points (N,S,E,W), four brave young men, dressed in bird costumes, climbed to the top, tied their ankles to very long ropes, then ‘flew’ off, head first, from the platform; as it rotated, the ‘dancers’ circled the pole, swinging ever wider and lower (as the ropes unwound) until they reached the bottom. SNAG! 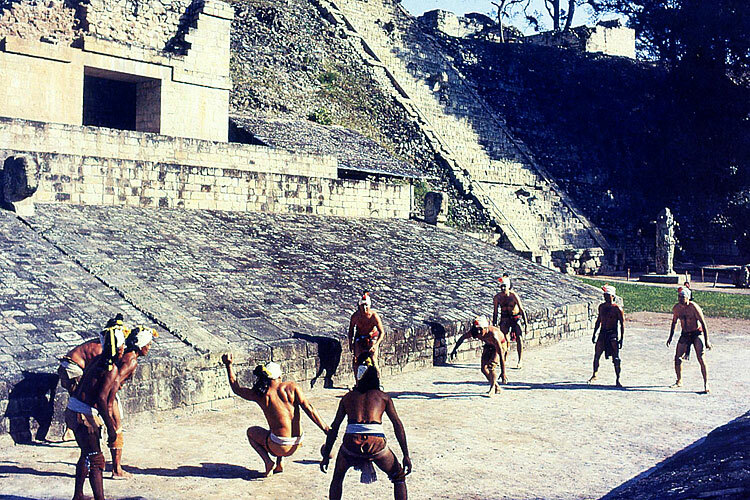 - the pole had to be cut the right length as the dancers HAD to circle the pole exactly 13 times, since 13 x 4 = 52, the number of years in the ancient calendar. 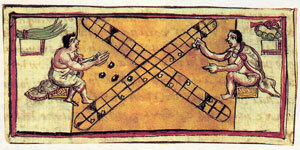 The Aztecs inherited a famous board game from earlier cultures called Patolli, very roughly similar to the old game of Ludo (remember?!) No-one knows the exact rules, but the basics involved rolling ‘dice’ (black beans, each with small white spots painted on it to mark its value) onto a reed mat, marked out as the ‘board’, with black lines in the shape of a cross. Often just with two players, the game had connections with the sacred calendar - the board had 4 quarters, each with 13 ‘squares’ on it (remember what 4 x 13 was...?!) SNAG! 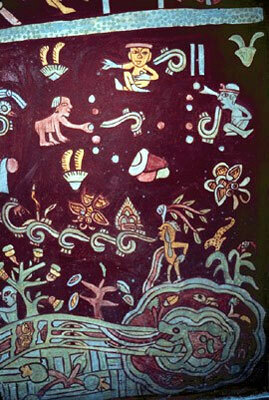 - Plenty of Aztecs got addicted to this game, and ended up betting all their belongings on it. Is the game Ludo actually based on the Aztec game? 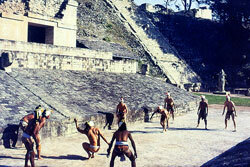 Also, how was human sacrifice related to the ball game? Great article - as always!